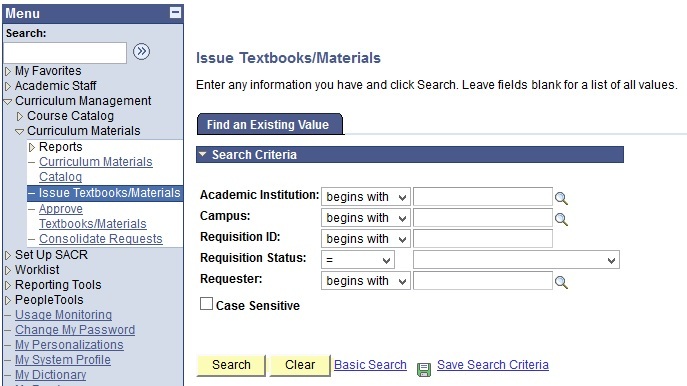 This function allows the users to issue the textbooks/materials as indicated in the approved request for new or existing textbook/materials. 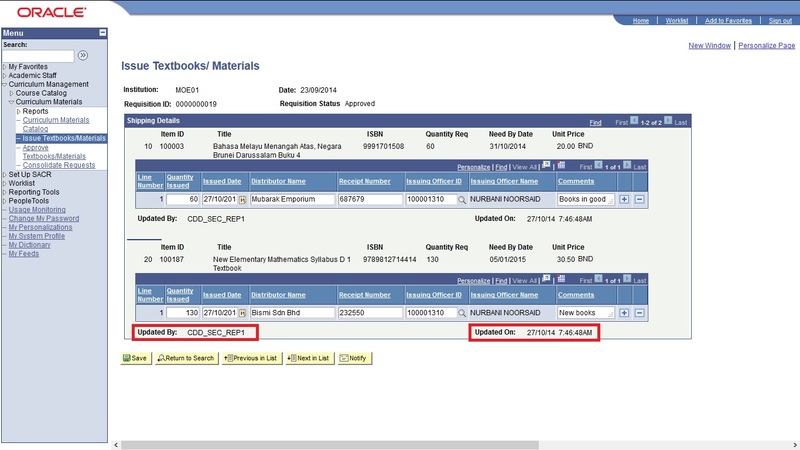 Click onto the desired Requisition ID link. 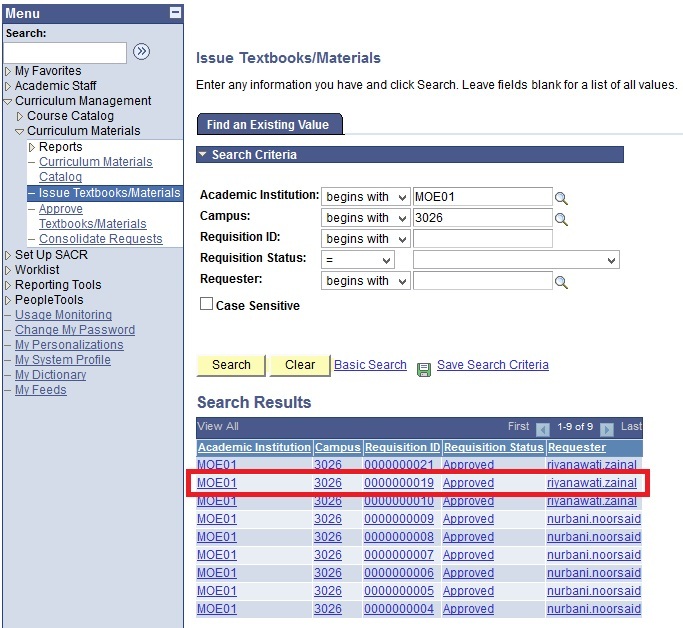 Enter the issue details of the Textbook/Material into their respective fields. 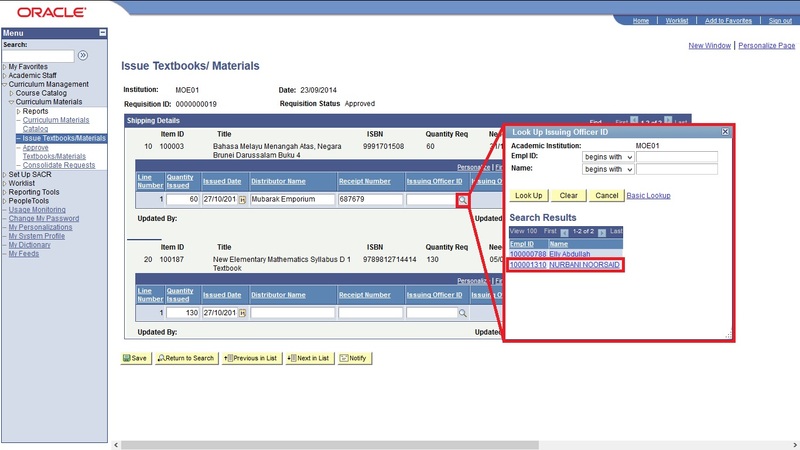 Select the Issuing Officer ID via Lookup button. Click Save button to save issue details. Updated By and Uploaded On will be populated when Save button is clicked. 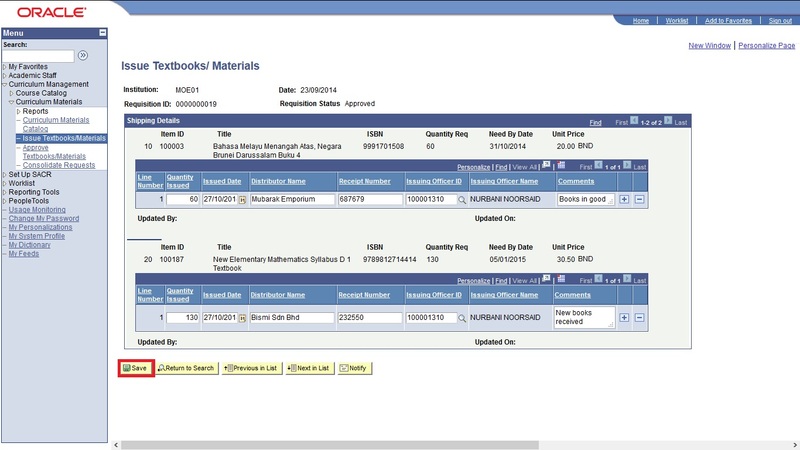 CDD Quantity in Stock from Curriculum Catalog page will be subtracted based on the Quantity Issued value entered for each textbook/material.